Never has there been a better time to be a new fly fisher. The only word is “more”: more gear, more videos, more podcasts, more articles, more fly fishing shows, more YouTube channels, and more exotic fish to catch on a fly rod – than ever before. In this first episode of Season 4, we identify six fly fishing trends that appear to be on the rise. Since we started in June 2015, we’ve published 156 podcast episodes and 156 blog posts. What a blast! Great Stuff from Our Listeners. At the end of each episode, we often include a feature called “Great Stuff from Our Listeners.” It’s the last segment of each episode, where Steve reads one of the comments from our listeners or readers. We enjoy hearing from you, and appreciate your advice, wisdom, and fly fishing experiences. What fly fishing trends have you noticed? What did we miss? What are you most concerned or excited about? WOULD YOU REFER OUR PODCAST? We’d love for you to refer our podcast to a friend, your TU chapter, or fly fishing club. Be sure to pass along our podcast to others. That is the most simple way to help us grow! To see every episode that we’ve published, click on “Fly Fishing Podcast” on the top navigation. 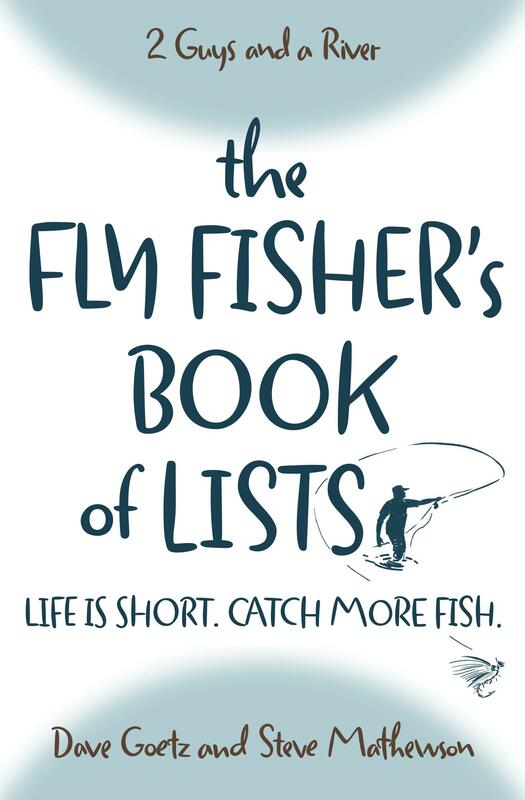 We’ve published a book for regular-Joe-and-Jane fly fishers called The Fly Fisher’s Book of Lists: Life is short. Catch more fish. To switch metaphors, perhaps it’s more like a handful of potato chips. It’s an entire book of lists. The goal is to help you find practical help quickly and in an easily digestible format! Buy it today on Amazon for only $13.99!